Lucy Powrie, also known as lucythereader, is an author and blogger from Wiltshire, UK. At the age of 12, she set up Queen of Contemporary, a blog where she could discuss her favourite books with other, like-minded bookish people. 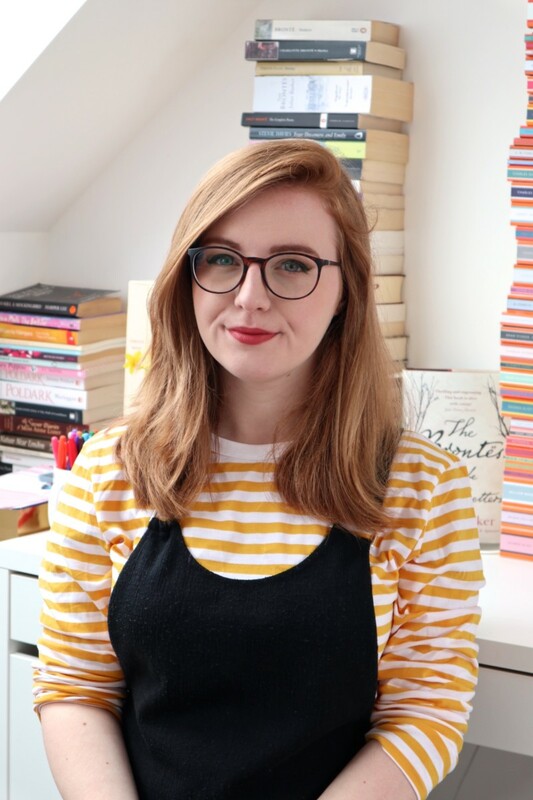 It subsequently led to her being named as one of the Guardian’s Top Ten Best Book Bloggers, dubbed the ‘Zoella of Books’ by The Times, and she is also the winner of UK Young Adult Blogger Awards for Champion of YA and Champion of Social Media. Lucy is also the creator and host of #UKYAChat, a weekly Twitter chat dedicated to all things YA fiction, and has spoken at various festivals and events, such as The Bookseller’s Children’s Conference, the Cheltenham Literature Festival, and the Oxford Literature Festival. In 2018, she became the Brontë Society’s Young Ambassador for Emily Brontë’s bicentenary year and was also a YA Book Prize judge. Her favourite books include Shirley by Charlotte Brontë, Fangirl by Rainbow Rowell, Magus of Stonewylde by Kit Berry, and Wuthering Heights by Emily Brontë. Lucy’s debut novel, The Paper & Hearts Society, will be published by Hodder Children’s Books in summer 2019. She is represented by Lauren Gardner at Bell Lomax Moreton Agency.